Besides celebrating a happy couple, what else is a wedding good for? Scoping out the hottest new property to capture the market. At the wedding of the Duke and Duchess of Cambridge (otherwise known as Prince William and Kate Middleton) wedding there was Pippa Middleton. 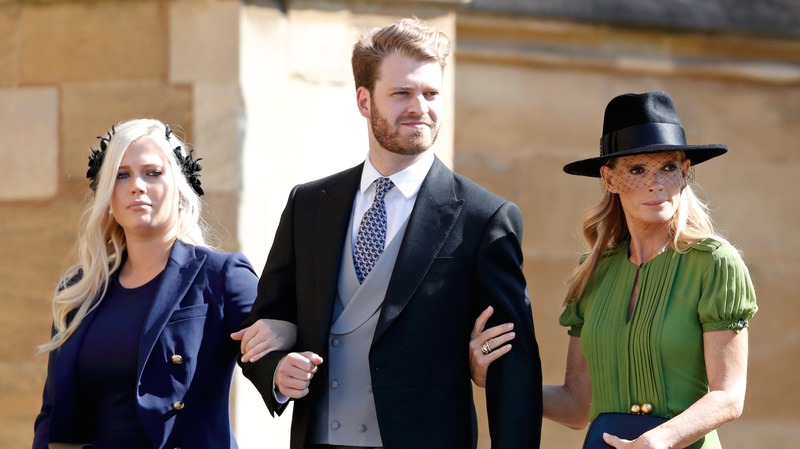 At the wedding of the Duke and Duchess of Sussex (otherwise known as Prince Harry and Meghan Markle), it turned out to be one of the royal cousins, Louis Spencer, Viscount Althorp. Spencer was spotted escorting his mother, Victoria Aitken, and two sisters, Elizabeth and Kitty, on the path to the chapel, and he woke people up from all the way across the pond. So, who is he? Well, let’s get the important stuff out of the way. He is single. He’s the son of Charles Spencer, Princess Diana’s brother, and Aitken (his parents are now divorced). He got his good looks from both the photogenic Spencer family and his mother, who is a former model. Through Diana, he is a cousin to Princes William and Harry. He’s the youngest child in his family, but as the only son, Louis Spencer stands to inherit his father’s land and fortune. His older sister, Kitty Spencer, said she agrees with the system (called primogeniture) so that the estate can stay with the family name. She was quoted on the remarks in the Telegraph. Since his father is an Earl, the family is considered aristocrats, but not royals. Louis Spencer first hit public awareness when singer Nicki Minaj posted a photo of the two of them at one of her concerts to Instagram. “Check out our wedding photo” she quipped. “No honestly it was such an honor to have you guys” Minaj said, referring to Kitty Spencer, who also attended the show. The family moved to South Africa when the children were still young, seeking to get away from media scrutiny. Louis Spencer returned to England for college, enrolling at the University of Edinburgh. He has largely managed to stay out of the spotlight, at least until this latest appearance put him on the map for so many women. Social media lit up with lots of gals thinking along the same lines. More: Who’s Playing Whom in The New Meghan Markle & Prince Harry Lifetime Biopic? But barring any of these ladies becoming the lucky one to win attention from the Viscount, who else might have caught his eye at the wedding? Priyanka Chopra was in attendance, as were two of Prince Harry’s ex-girlfriends, Chelsy Davy and Cressida Bonas. And while he wasn’t reported to be giving anyone special attention, there’s nothing to say he wasn’t making some mental notes. When Spencer does decide to make a move, everyone will surely have opinions on it. For better or for worse he’s got the eyes of the world, or at least the female half, watching him now.